The Metro system consists of 11 numbered lines, each with its own recognizable color. Line transfers are clearly marked. They extend to nearly every corner of the city, as well as some outlying regions. The only drawback of the system is that most trains end at around 10:00 – 11:00pm and open again early in the morning, which puts a dent on nightlife events. Check http://www.shmetro.com/EnglishPage/EnglishPage.jsp for individual line schedules and maps. If you can, try to avoid rush hour times unless you want to rub elbows with the rest of the Shanghai urbanites. Transportation cards can be used on buses, metro and taxis. Available at metro stops. The train fare is measured by distance; the farther you go, the more you will be charged. 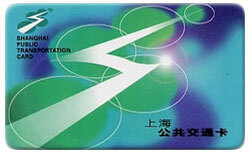 Scan your Shanghai Public Transportation Card when you enter and exit a train station. You can also purchase a Single Journey Ticket to be used within 24 hours. There are over 1,000 bus lines sprawling over the city, from downtown Shanghai to the outskirts. 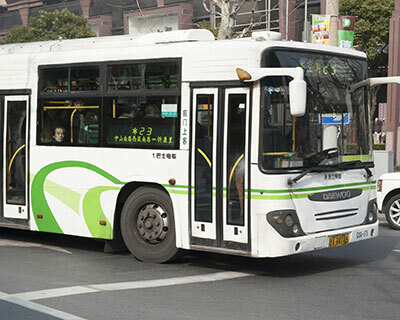 Bus fares vary according to the category of the bus line, but will run between 1RMB to 2RMB. You can pay with loose change or with your Public Transportation Card. The buses are a great way to conveniently travel and explore the city. However, bus stations do not have English, so research before you hop on one. There are thousands of taxis roaming the streets of Shanghai ready to pick up passengers at curbsides. Though more expensive than the public transit, you might consider this option for ease and accessibility. Hail a taxi at curbside. Look for a green light that says ‘空车’ (kong che), which means the taxi is vacant. Taxi fares vary by distance and time of day. You can pay with cash or tap your Public Transportation Card. 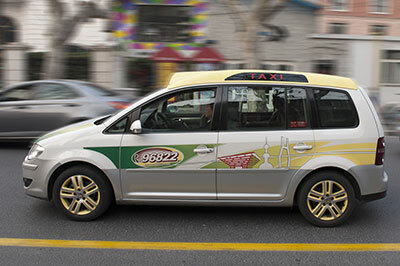 Book a taxi by calling 96965, the Shanghai Taxi Dispatch Information Service Center Hotline. English is available. Alternatively, you can call up individual taxi companies. Don’t forget to ask for a ‘fa piao’ (发票), a receipt, when you leave. It will have the taxi information such as license number and company phone you can call in case you leave something in the car or wish to file a complaint. Always ask for and keep your 'fapiao'! China is known as the bicycle kingdom. Even in this day of economic development when the Chinese are sporting Audis and BMWs, the streets are still full of millions of cyclists. The bike is a cheap and convenient form of transportation, and a great way to explore the city’s lanes and alleys. Bike stores are all over Shanghai, selling the classic Forever bikes to the more modern folding bikes. You can easily get a cheap bicycle, motorbike, or scooter at affordable prices, both used and new. Alternatively, you can get one from the numerous small bike stands around the city. They have old bikes for sale and can give you a quick tune-up for cheap. Motorcycles that run on gasoline/diesel require a Chinese driver’s license to drive, but you do not need a license to drive electric motorbikes and scooters. However, all vehicles need to have a valid license plate. Personal driver and car is an option for many expat families seeking comfort and convenience. There are a variety of car service companies in Shanghai, but you can also find an experienced, English-speaking driver through online ads at your own discretion. This option can be quite expensive, however, reaching a few thousand RMB per month. Remember to double check the legitimacy of the car and driver; ask to see proper documents such as driver’s license, car authorization, and passenger transport licenses. China’s high speed railway is the longest high speed rail network in the world whose trains run an average speed of 200 km/h (124mph). 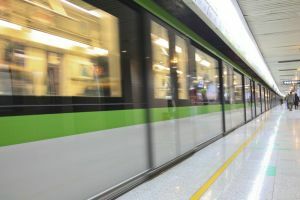 The trains were introduced in 2007 and are a clean and comfortable way to travel to nearby suburbs as well as major cities in China. Overnight trains are also available for those long distances. To purchase a ticket, foreigners must bring their passports. Chinese citizens can use their ID cards. There are more than a dozen lines in service, and more are still being constructed. There is currently no English website for the rail service.